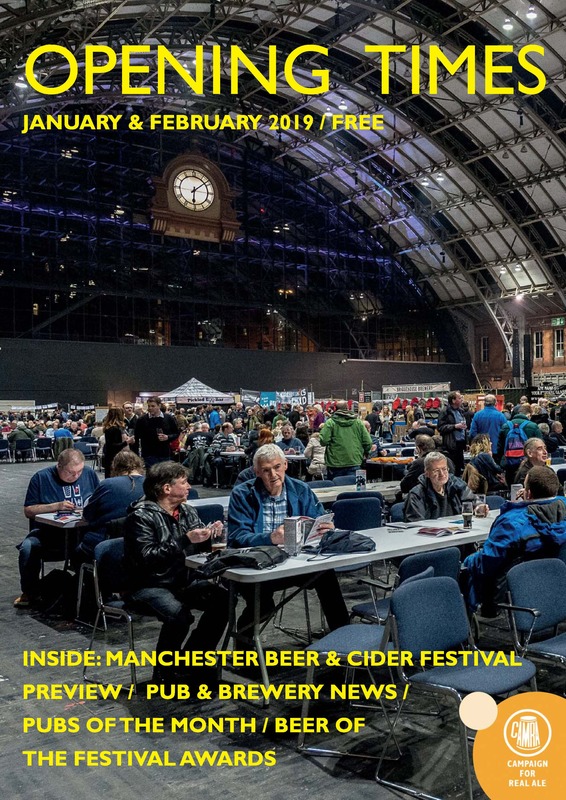 Opening Times is a bi-monthly A4 magazine covering beer, brewers, events and occasions in an area comprising (roughly) the south east of the Greater Manchester conurbation, with a little straying into High Peak and N.E. Cheshire. 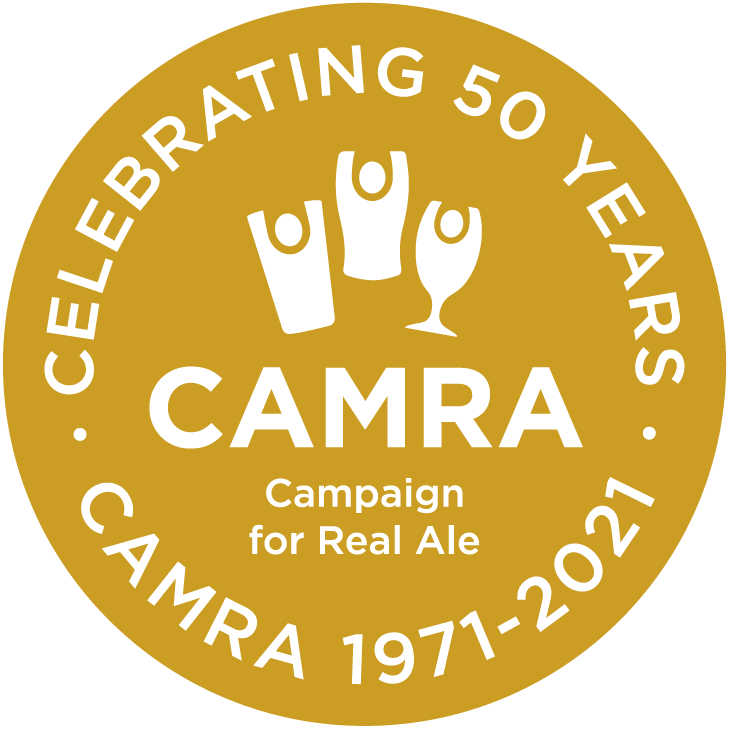 It is principally produced by the Stockport & South Manchester branch of the Campaign for Real Ale (CAMRA). Additional material is supplied by the High Peak & NE Cheshire branch and the Macclesfield branch. The aim is for publication on the first day of the "odd" months, ie January, March, May, July, September & November. We have 5,000 copies printed each month and distribute it to hundreds of outlets. Want to guarantee your copy of Opening Times? Angel Inn (Stockport) reopens after 67 years closure! Brewery news: Cheadle Brew House and Manchester Union Brewery both open. Stockport Beer & Cider Festival Awards: Gold Blackjack for JIPA; Silver Stockport Brewing for Magnum; Bronze Fernandes for Black Voodoo. Cider: Harry's Cider for Scrummage. Perry: Nempnett Cider for Piglet's Perry. Gold and Silver beers were from home brewer Jonah Stancombe's recipes. Read in its own window (large file). Is there a cask crisis? Each issues is laid out in the first few days of the preceding month, with final copy required by the 10th of that month. For example, to be included in the April issue, inform the editor by March 1st, with the final copy to the editor by March 10th. All graphics should ideally be in hi-resolution, 100% (no compression) format or PDF with fonts included format. Advertising is now handled by Matelot Marketing who publishes Opening Times on our behalf. Advertising matters can be discussed with the editor by emailing chairman@ssmcamra.co.uk. He is happy to advise about such things as size and format of advert, content and production of graphics if you are unable to do this yourselves.